Squash and pumpkin are everywhere now and I love it!! From curry butternut squash soup to roasted acorn squash and kale salad I can’t seem to get enough of these beautiful fall veggies. But my most favorite of all is to pour a nice cup of black tea and gently warm up a pumpkin muffin. I grew up loving pumpkin bars. You know, those moist pumpkin treats slathered with buttery-cream cheese frosting? I could gobble them down. Then I moved onto giant pumpkin muffins loaded with mini chocolate chips, as a super active highschooler I would eat two at a time (if only I could still!!). Jump to present day- I wanted to create a recipe that tasted just as delicious but was jam packed with crazy nutrition. Yes, jam packed and crazy. Maybe that’s what I should call these little beauties? So last week, before I hit up my physical therapy and chiropractor appointments (oh yes, years of running/dance/fractured ankles/stress have started to wear on me…and here I am trying to fix myself before it gets worse!) I wanted to make my lovely doctor and physical therapist a little treat for how wonderful they are to me. And that is how these muffins were born. 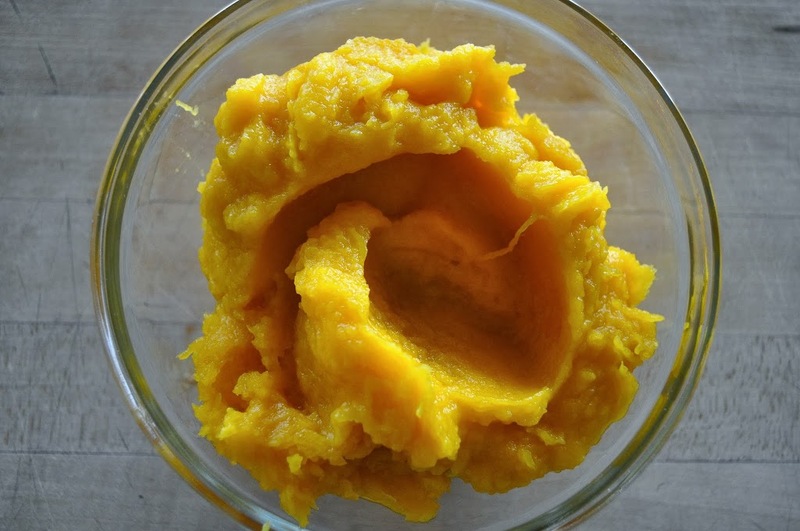 The batter is full of omega-3s, fiber, antioxidants not to mention the incredible benefits you get from pumpkin-Vitamin A, carotenoids (especially good for those gorgeous eyes of yours! ), beta-carotene (which can help in cancer prevention), potassium (1 c. has more than a banana!) and vitamin C. You literally have NO excuse not to make these. I also like to be a bit ambitious and roast my pumpkin myself. 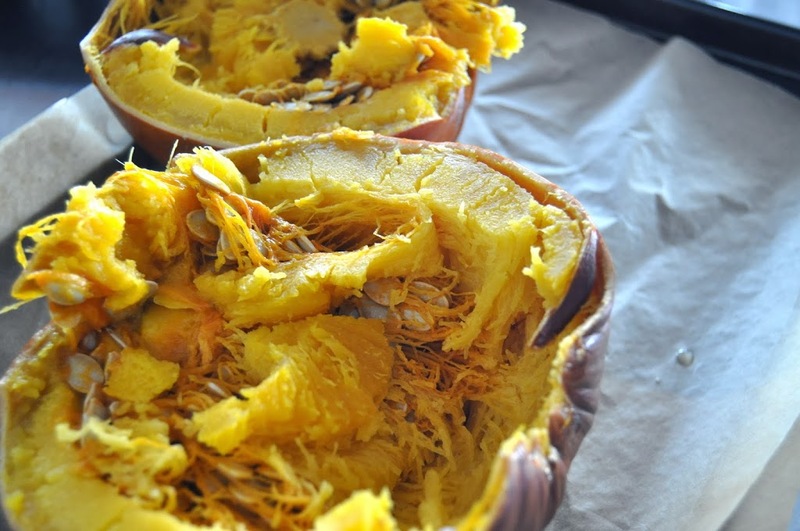 Canned pumpkin is a fine substitute, but I think once you roast a pumpkin yourself and see how easy it is (and the incredible difference in color, fresh pumpkin is a gorgeous and vibrant orange!) you’ll be a roaster yourself. A few tips- I like to roast two sugar (yes, it needs to be a sugar pumpkin) pumpkins at a time. 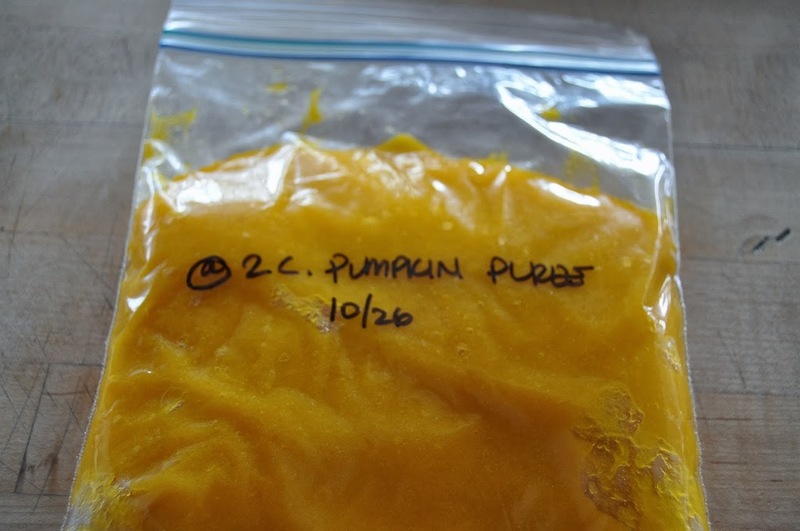 Any leftover I portion out into freezer bags, label it with name and date and tuck it away in the cold for another time when I want to use the pumpkin right away. I also like to do this while I am home at night for a few hours or even just on the weekends while I am doing some things around the house. The pumpkin requires literally no prep, you just plop it on a parchment lined baking sheet and cook at 350 until a knife slips easily into the skin, this can take anywhere from 45 minutes to 75 minutes. 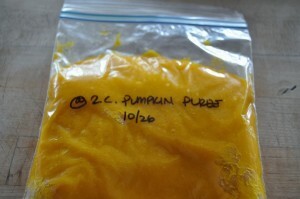 Remove from the oven, let it cool, cut in half, scoop out seeds and puree the flesh in a food processor until smooth. See? Easy Peasy, Lemon Squeezy! So, while fall is still here grab your sugar pumpkins, roast away, bake some muffins and enjoy the smell your house will welcome as you envelope your kitchen in cinnamon, coconut, ginger and best of all-pumpkin. 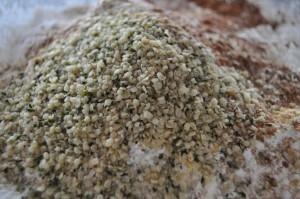 my latest favorite addition-hemp seeds! 1. Preheat oven to 350 and line a muffin tin with muffin papers. Be sure to have a baby tin handy with some mini liners if you want to use the extra batter for those guys! 2. 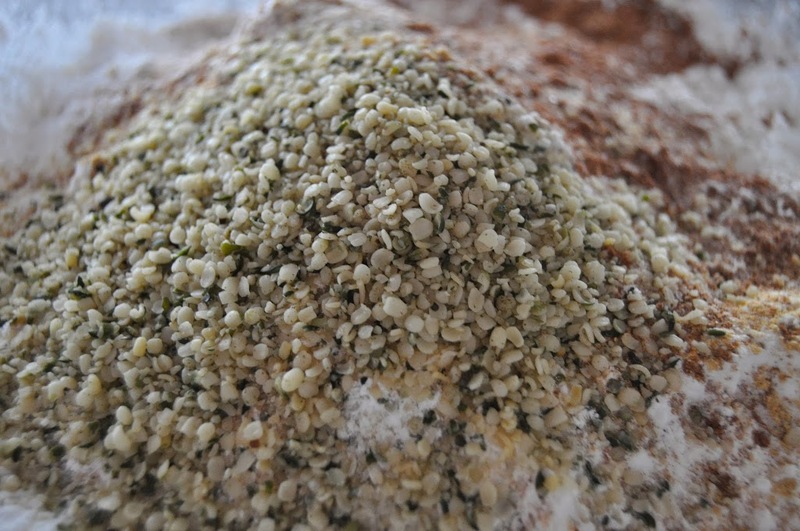 Mix together all the dry ingredients with a whisk. 3. Mix together all the wet ingredients with a whisk. 4. Combine the dry and wet ingredients together and portion into the muffin cups pretty heartily, filling to the top. 5. 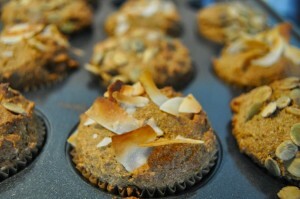 Press additional pumpkin seeds and shaved coconut into the top of the muffins before popping in the oven. Bake at 350 for 25-27 minutes, until a skewer inserted comes out clean (14-16 for the minis).